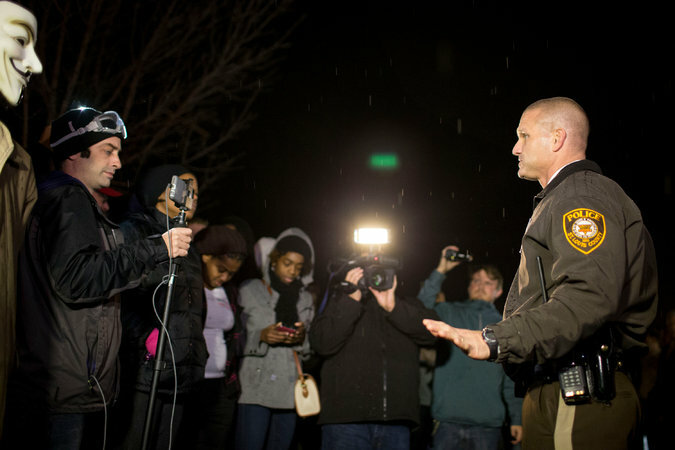 Photo from the New York Times: Lt. Jerry Lohr, who oversees security at the Ferguson police station, on Saturday with protesters, who ask for him by name. Credit Whitney Curtis. As the nation focuses on the events in Ferguson, MO, departments and agencies across the country are working on improving community-law enforcement relations. Through the lens of the Ferguson crisis, we offer these ideas, models, and perspectives for law enforcement.